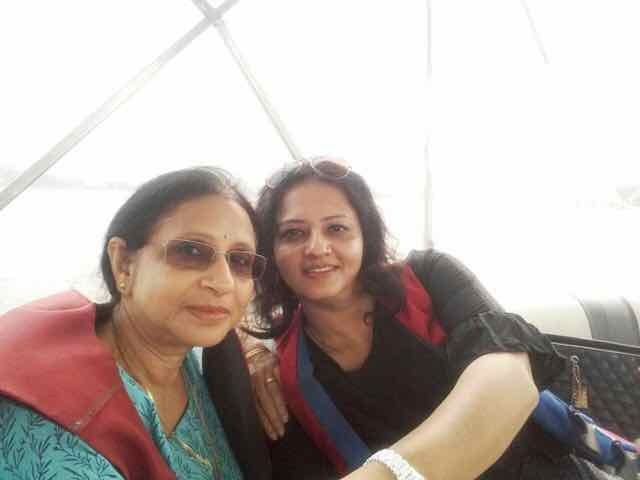 Trip to the magnificent city of lakes- Udaipur - Ghumakkar - Inspiring travel experiences. This time around we planned a trip to Udaipur and Chittorgarh, cities in one of our favorite destination Rajasthan. 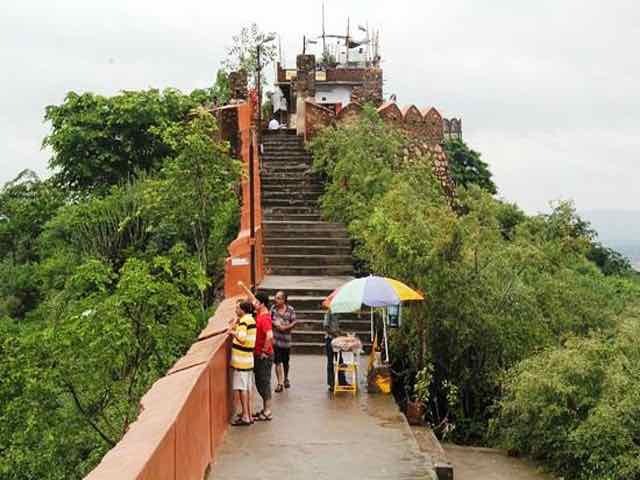 Amidst the controversy surrounding one of the bravest queens of yore Rani Padmavati it was one of its kinds of experience to visit Chittorgarh. 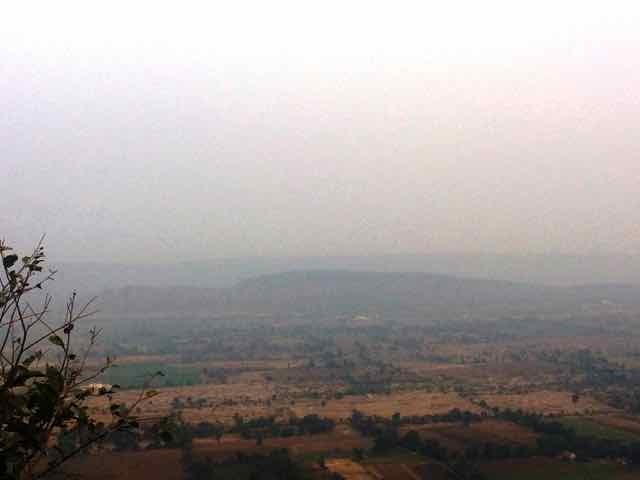 Karni Mata temple: Located on Machla Magra Hills near the Doodh Talai Lake this temple can be accessed by ropeways. It houses the idol of Karni Mata a revered goddess by the locals. Besides being a religious spot major attraction of the temple are the white rats that can be fed by the devotees. This is in line with another Karni Mata temple located in Deshnoke, 30 kms from Bikaner where rats are also fed and highly valued. The temple attracts tourists all year around. Lake Pichola: Built in 1362 AD and later extended by Maharana UdaiSingh this is an artificial fresh water lake. Two islands as seen on Lake Pichola, Jag Niwas with Lake Palace and Jag Mandir with Jag Mandir Palace, are sure to wreathe one in their beauty. One can opt for a boat ride, camel ride or horse ride here. Lake Fatehsagar: An artificial lake constructed by Maharana Fateh Singh in 1680s, this lake offers picturesque view of the mountains all around. One can opt for motor boat rides or speed boat rides. Usually the boat ride spans between 15-20 mins. People who love thrill can choose speed boats wherein the entire lake is covered in 5 mins. City Palace: The palace was built by Maharana Udaisingh in 1553 when the Mewars decided to shift their capital from Chittorgarh to Udaipur. The complex was built over a period of 400 years by various generations of the Sisodia clan. Standing atop mountain range about 1962ft the palace offers an opulent view of the city. Made entirely of marble and granite it consists of elaborate balconies, towers and rooms with exquisite mirror works, marble works, paintings and glass work. The palace speaks volumes about the taste of the Maharanas. 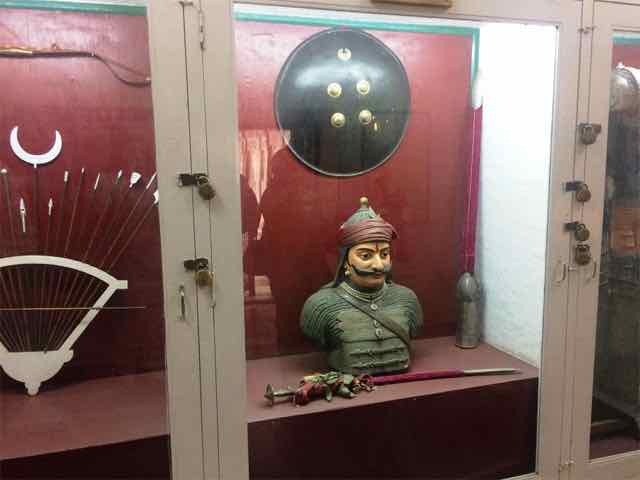 One can now see the weapons and armory of the Maharanas besides photographs from the British era, silver ware exhibits and the illustrious marriage mandap. It is best to explore the palace with a local guide who is well versed with history and makes the trip truly enriching. 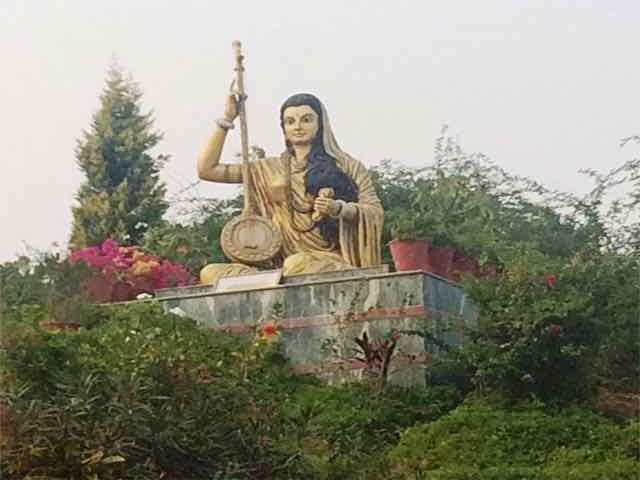 Pratap Gaurav Kendra: Standing tall nestled in the Tiger Hills in the Bargaon area, Pratap Gaurav Kendra Rashtriya Tirth, as it’s popularly known, is one of the major attractions of Udaipur. 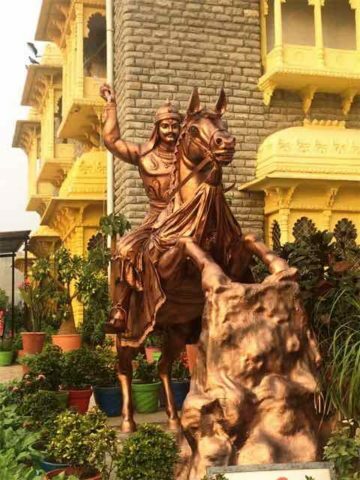 The facility houses life size idols of Maharana Pratap, Meerabai, various heros of the blood laden era of region viz as Panna dhai, Gora, Badal, Bheels who supported Maharana Pratap in the Haldighatti battle, Jaimal, Phata and Bappa Rawal just to name a few. One can catch a glimpse of the great history of the Rajput and stories of sacrifice by both men and women equally to maintain the sanctity and sovereignty of their motherland. 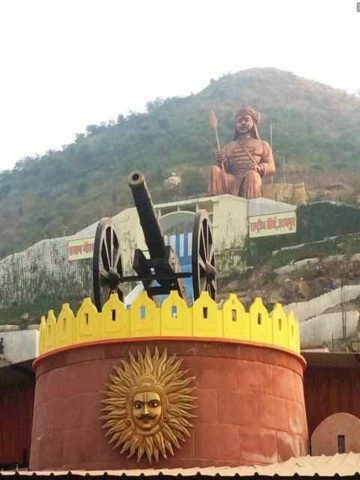 Other major attractions are the real life 3D robot/exhibit shows depicting all the major historical events that shaped Udaipur and Chittorgarh in particular. All in all a mesmerizing experience. 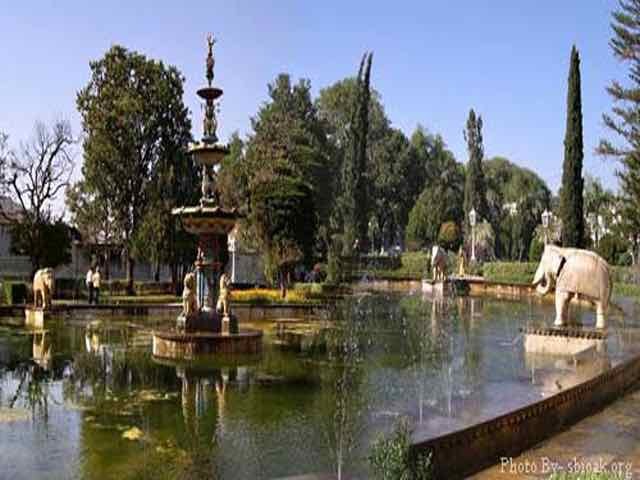 Saheliyon ki bari: Translated as the “Garden of maids” this exquisite garden was built by Maharana Sangram Singh along the banks of Lake Fateh Sagar in the 18th century. 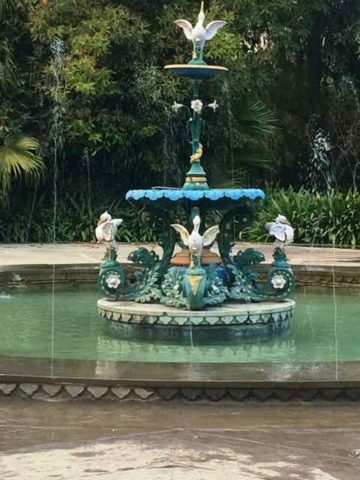 The garden specifically built for his wife and her maids is famous for its manicured gardens, marble work, central fountains, lotus pond and elephant fountains along the periphery. The garden was a getaway for the queen and her entourage from the mundane palace life. This garden is sure to soothe one’s senses and connect one with the beauty of nature. The next day was planned to visit the acclaimed Chittorgarh Fort. Quick, short, very useful list for anyone visiting Udaipur. I have been to Udaipur a few times but didn’t know about Mata Karni Temple, always associated it with the one in Bikaner. Thank you Mala. That two Udaipur (one by Kiran) stories back to back for me. Thank you Nandan. 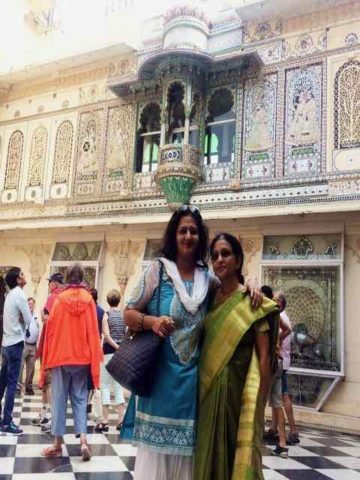 Even we were not aware the temple however thanks to Makemytrip itinerary that we got to know the temple in Udaipur. Even i was not aware about the Karni Mata temple in Udaipur. Very well written post and beautiful pictures. It seems that you enjoyed the city of lakes thoroughly. Keep travelling and keep sharing! I have nostalgic memories of Udaipur as after the 1971 War our Battalion moved to Udaipur for much needed rest & recouping peace tenure. The present day cantonment was under construction & army had hired many civilian houses & mine was opposite famous ‘Sahelion Ki Bari’. In August 1973 I moved along my Battalion to Nowgaon(now hotbed of terrorist attacks in J&K) & our son Gaurav was born in Udaipur in Sept 1973. 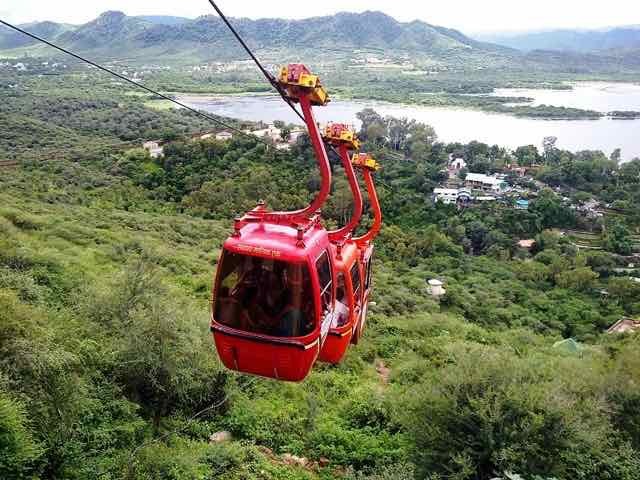 I am glad there is now ropeway to Karni Temple as I recollect it was very exhausting for ladies to walk up to the temple in treacherous summer months. Ever since I have crossed Udaipur many times driving to & fro Delhi/ Surat / Chennai where Gaurav has been posted over the years. Thanks Mala for the lovely narrative & excellent ‘speaking/talking pictures’! I do hope you have read many of my stories in Ghumakkar too. Very nicely described short and crisply explained. I had been to the city of lakes recently and also explored few other places in and around udaipur. 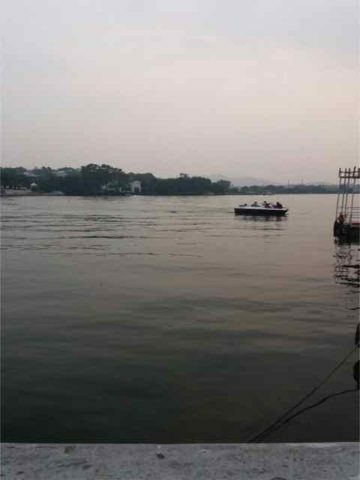 You can read it here https://www.ghumakkar.com/udaipur-diaries-continues-part-2. BTW it looks you had visited way back, as in the pics places look to be little older. i may be wrong. Yes we did asked our guide about the rope-way sighted on the way to lake pichola. But we skipped going there, sadly we could have visited.